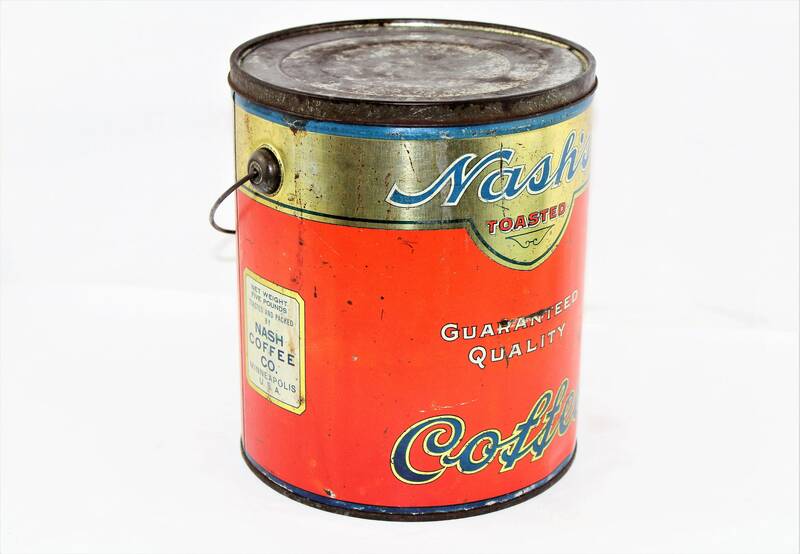 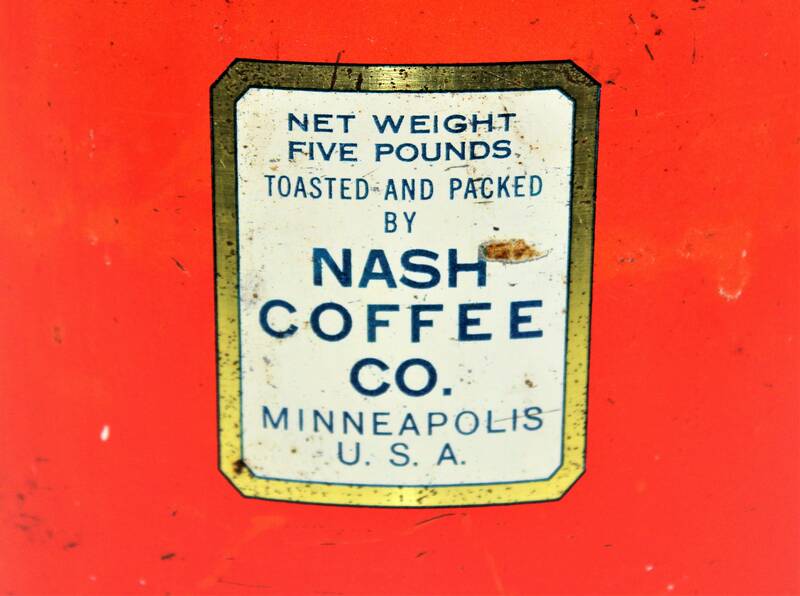 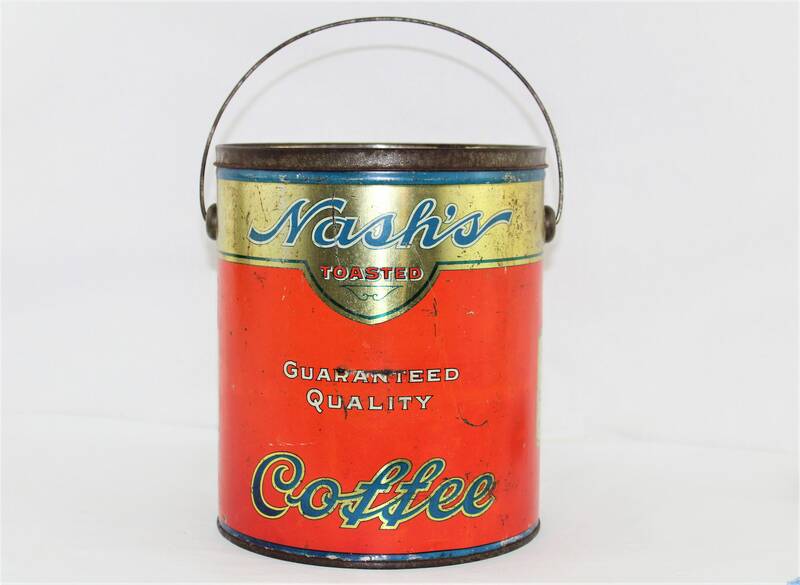 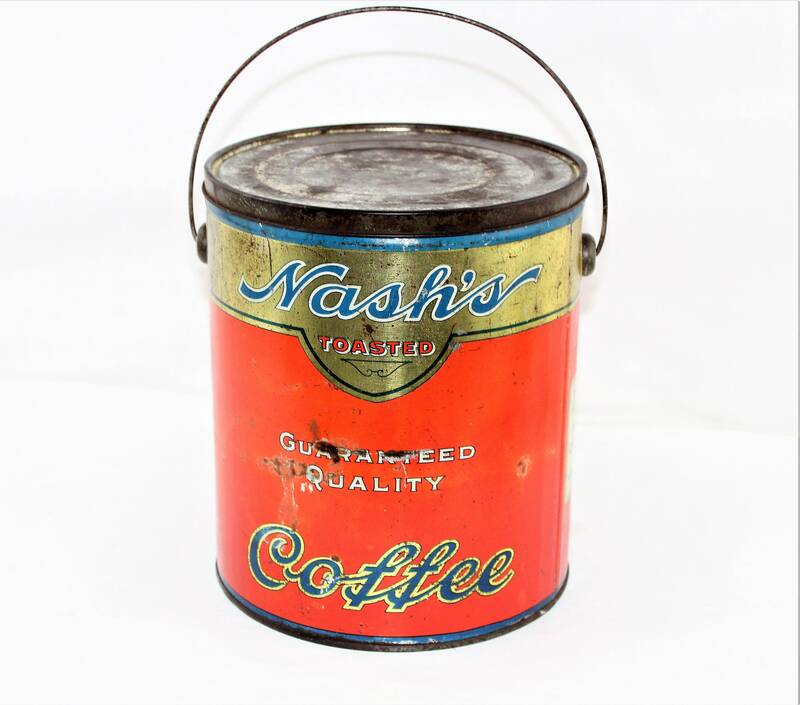 Wonderful 1920s coffee tin from the Nash Coffee Company Minneapolis MN. 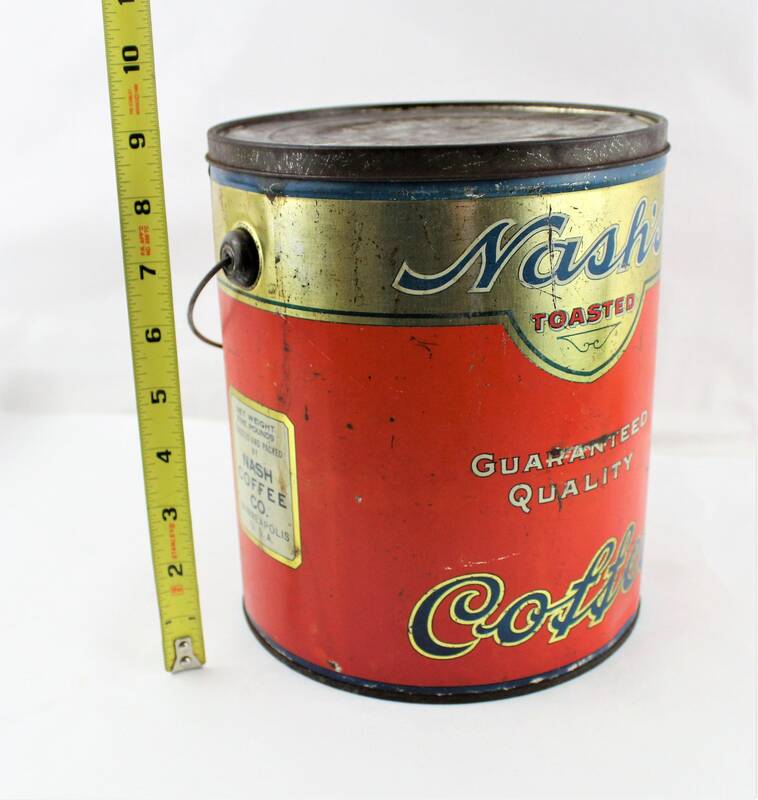 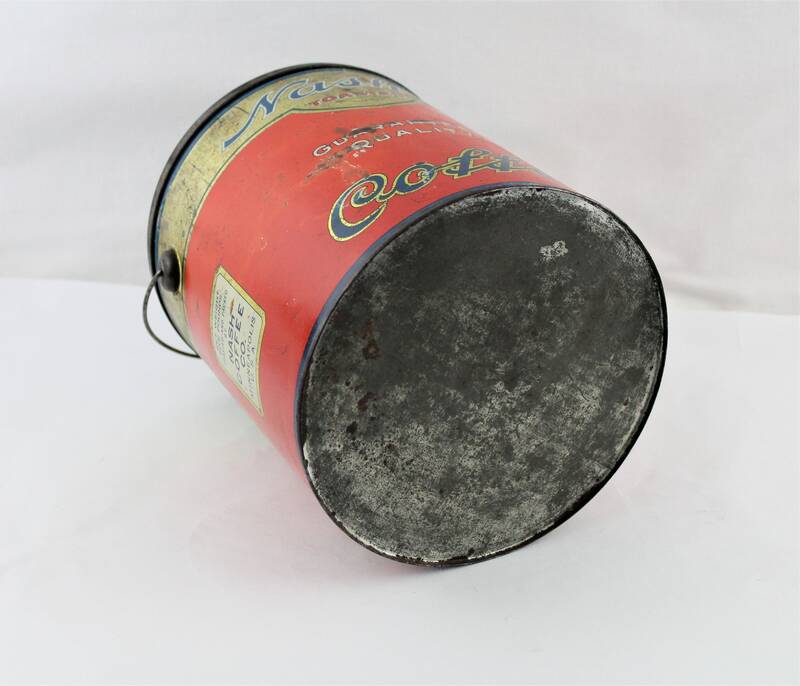 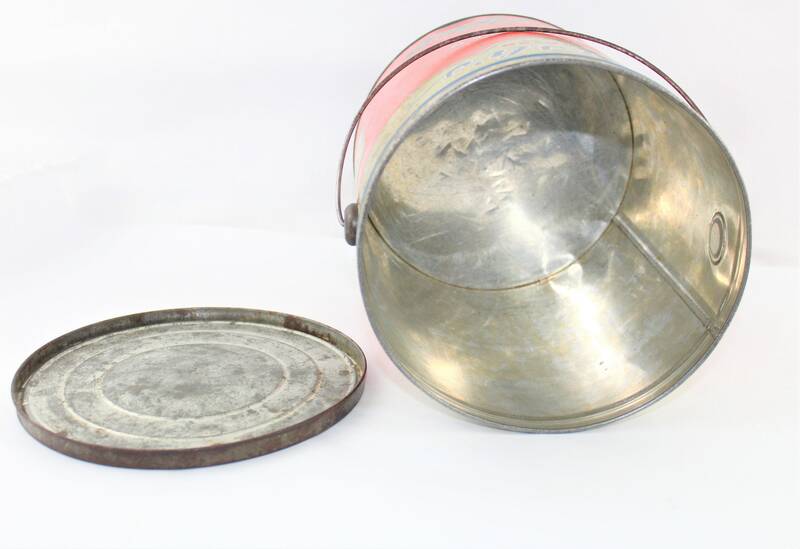 This is a five pound can with the same writing on both sides of can. 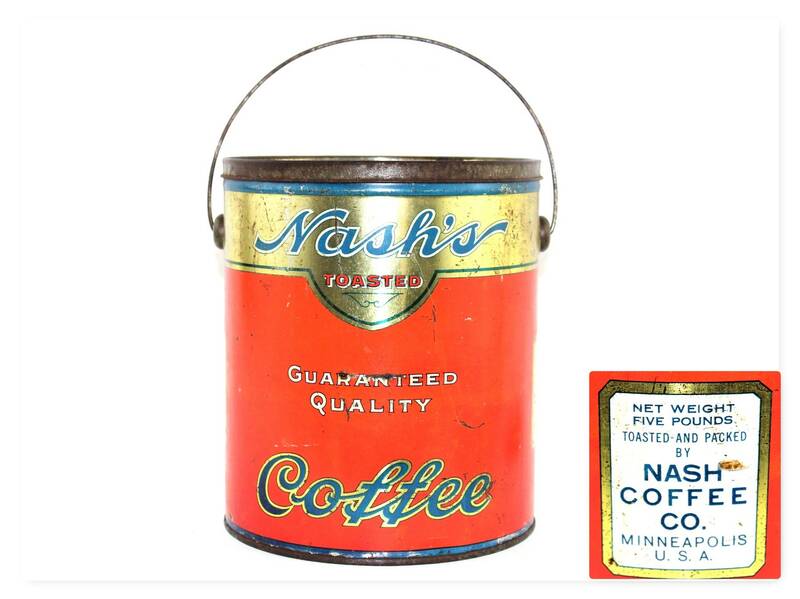 Will make a wonderful display piece. 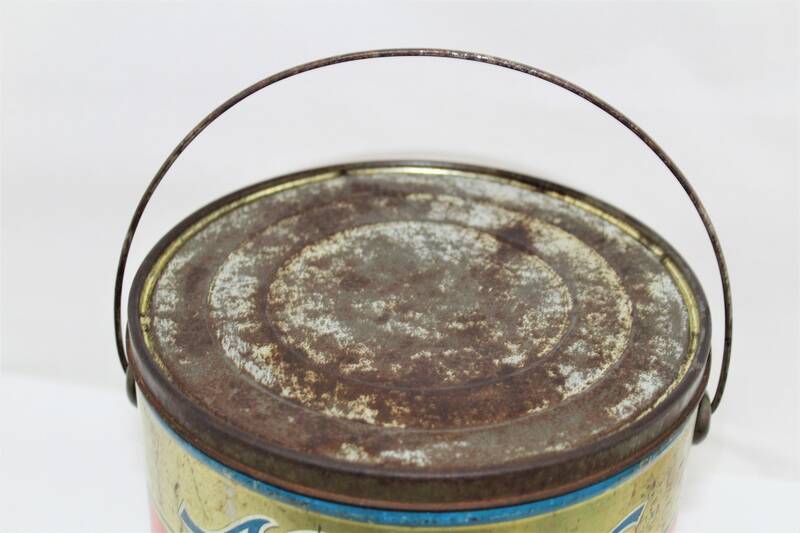 Condition: vintage condition with scuffs and scratches please see all pictures.